With the 2018 Auto Expo getting nearer with every passing month, there have been several rumours on the upcoming new launches and new car debuts at the next edition of Delhi motor show. We’ve already come up with a list of all new cars that are likely to be in attendance at the next Auto Expo. Here, in this post, we’ve put together the details on new launches and debuts that are likely to happen at the Renault pavilion. Yes, the manufacturer is yet to let out the final word on its plans for the next Auto Expo. However, our Renault cars at Auto Expo 2018 list here will give you a glance at what all’s expected from Renault at the next Delhi Auto Expo. 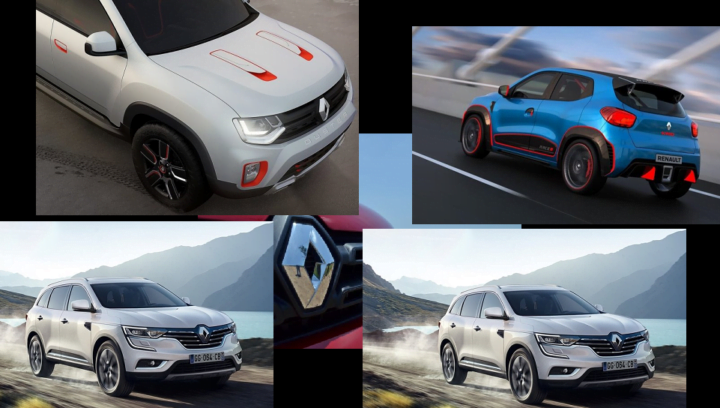 Here is the complete list of upcoming Renault cars in India at Auto Expo 2018. 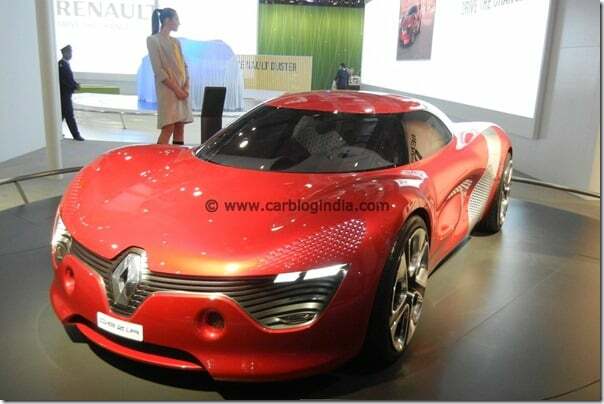 Renault India is likely to once again showcase the DeZir electric sports car in India. This concept made its India debut back at the Auto Expo 2012. However, with the country suddenly abuzz with talks on future electric car models, Renault might decide once again bring this beautiful design study to the country. The DeZir is a lightweight sportscar that gets a mid-rear mounted electic motor. It enjoys a range of 160 KMs along with a top speed of over 180 kmph. It can go from 0 to 100 kmph in just 5 seconds and 0 to 50 kmph in merely 2 seconds. India launch looks unlikely anytime soon. 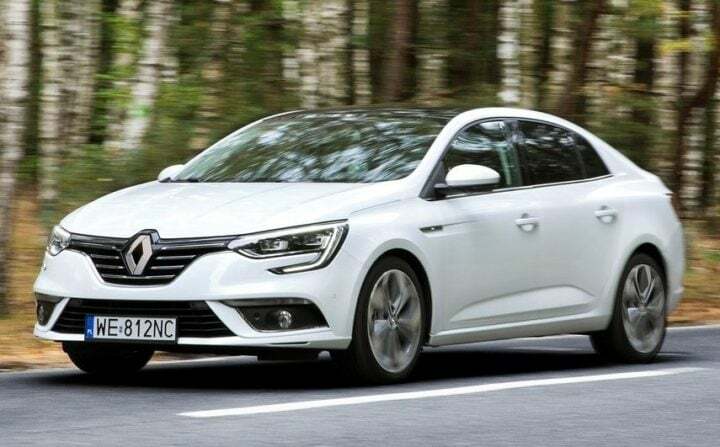 Renault India is likely to launch the Megane sedan to replace the now defunct Fluence sedan in India. The Megane is already on sale in several international markets and is a successful model. In India, it is likely to come with 1.6-litre Petrol and 1.6-litre Diesel engines. It may be noted here that the D-segment of Indian car market has been struggling to fend off the heat from SUVs. While Renault India is expected to showcase the Megane to gauge the response from show-goers, its launch might happen only around the end of next year. That said, the Megane sedan will be one of the most important Renault cars at Auto Expo 2018. It’s very likely that Renault India plans to re-launch the Koleaos moniker in India. Hence, the new-generation Koleos might make an appearance at the Auto Expo 2018. The last generation Koleos, which was on sale in India, couldn’t really find many takers. 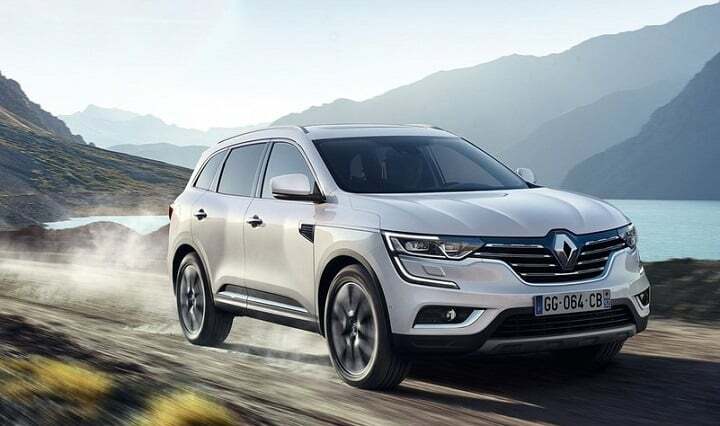 However, Renault doesn’t seem to have given up and will now launch the new Koleos to cash in on the increased demand for SUVs. 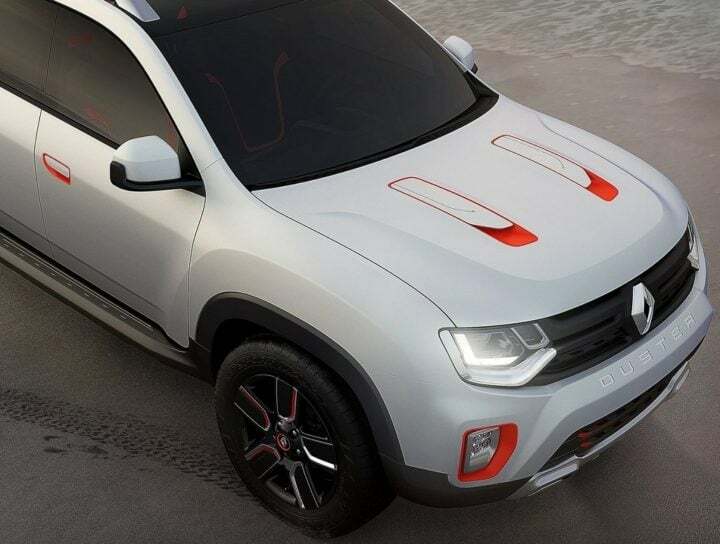 Easily the most important of all Renault cars at Auto Expo 2018 will be the Grand Duster (new-generation Duster). Internationally, the new Renault Duster will go on sale in two formats – 5 seater and 7 seater. The latter is what India could get under the Grand Duster moniker. Watch out for the all-new Renault Grand Duster SUV at the manufacturer’s pavilion in the 2018 Delhi Auto Expo. Another important product that will make its debut at the next Auto Expo will be the Kwid-based compact SUV. While it’s unlikely to catch as much attention as the Grand Duster, the Kwid compact SUV will be still one of the most important Renault cars at Auto Expo 2018. The Kwid Compact SUV will share in plenty with the hatchback sibling but will make use of many styling updates and a bigger body-shell to pass off as a compact SUV. The current 0.8-litre and 1.0-litre engines don’t seem likely to make it to the Kwid compact SUV. Of these, we expect the 1.0 to make it to the upcoming Kwid SUV. Renault India is likely to unveil a pre-production prototype at the 2018 Auto Expo next year. Yes, the Kwid will also give birth to a compact MPV. It will be based on the same low-cost CMF-A platform and will even have the same 1.0-litre engine that powers the Kwid 1.0. Prices will likely start at Rs 4.4 lakh. The top-end model will cost roughly Rs 6 lakh. It will offer 7 seats. Renault India showcased the Kwid Climber and the Kwid Racer at the 2016 Auto Expo. 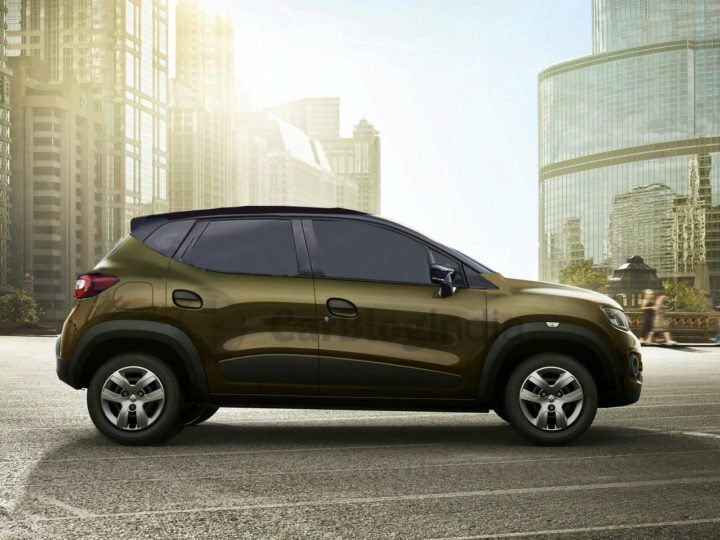 While the Kwid Climber edition has already made it to production, the Kwid Racer will go on sale only next year. The production-spec Kwid Racer is likely to launch at the 2018 Delhi Auto Expo. The Kwid Racer gets a really tasty body kit, large alloy wheels, low-profile tyres and a metallic blue paint for the exterior. The show car at the last Auto Expo boasted a roll-cage and bucket seats. These are unlikely to make it to the production model. However, the car could still retain the digital rev counter and leather upholstery. 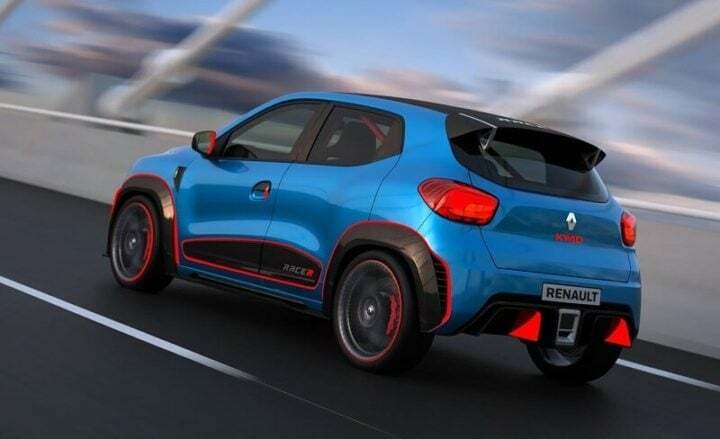 The new 2018 Renault Kwid Racer will be one of the most important new launches at Auto Expo 2018. Stay tuned to CarBlogIndia for latest news updates on Renault cars at Auto Expo 2018.